Running on a weekly basis. Join at any point but contact with your information. Venue address is given upon booking. You can pay at class with cash. This is a women's group. CLASS IS RUNNING THIS WEEK!!! 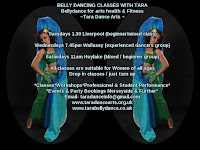 Free Class for all in Saturday 22nd September! Pay at class or by PayPal. Exclusive to women of all ages body shapes & dance / fitness levels. 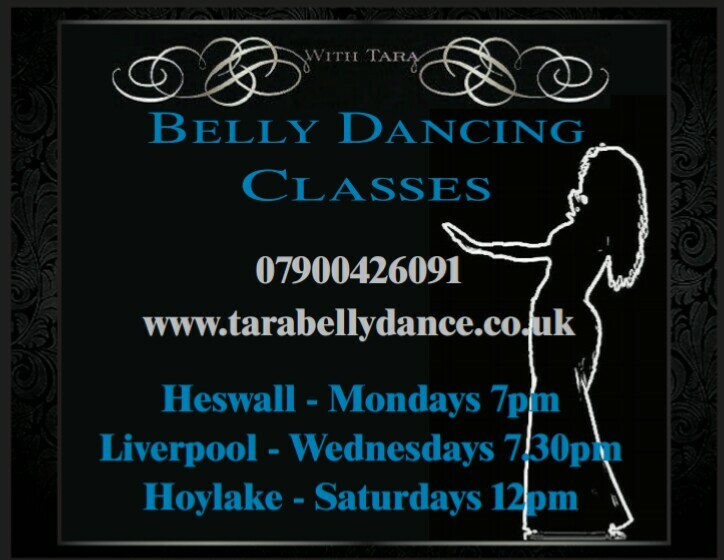 Children over 5 may be welcome to the Saturday class alongside mum and must be supervised. Ask me about this. What to wear - anything suitable for dance / exersise that you feel comfortable to wear - gym or yoga clothes are great, most ladies wear leggings and a top and some wear gypsy / maxi skirt with a bolero top. *Note if you wear a skirt please bring some shirts to put underneath for the cool down. Shoes - WE DANCE BARE FOOT ......however if you prefer to wear shoes please make sure they are soft & flat dance shoes like ballet jazz or belly dance shoes. This is a friendly fun class taught by a down to earth creative professional performer and instructor.... she changes the classes up to keep them different and interesting. Everyone is welcome! Have you got a health/ medical or physical problem & unsure any form of physical activity could make worse? - please seek medical advice from your GP or medical professional before taking part in the class. Your overall well-being is your responsibility. If you don't feel well enough or strong enough to take part it's best to wait or follow medical advice given by your Doctor. Your health is more important.